All eyes for bull riding fans are on Las Vegas this week, where the Professional Bull Riders Built Ford Tough Series World Finals kick off on October 26th. Making this extra exciting for us is the fact that the Professional Bull Riders just launched a brand new website last week with a range of new online video content that is powered by the Brightcove Video Cloud online video platform. Brightcove new media agency partner, Lightmaker North America, also played a key role in the launch of the new site and in integrating Video Cloud throughout the site. 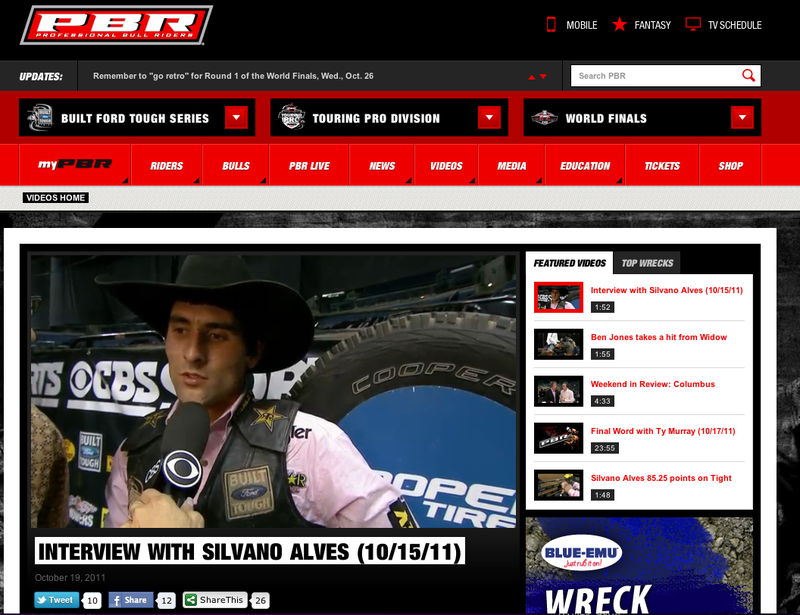 The new PBR.com site features a range of high quality live and on-demand video content, including the PBR Live Event Center which features live data,highlights and alternate camera angles. Video on the site is optimized for playback on both Web browsers and mobile devices thanks to Video Cloud, which ensures that fans have access to content no matter where they are. Video content is also optimized for sharing on social networks thanks to Video Cloud's range of social sharing features. And, Video Cloud enables the organization to easily sort videos by playlists or by a specific rider. In the future, the Professional Bull Riders plan to launch Spanish and Portuguese-language versions of the site, tapping into the heavy South American fan interest and rider heritage in the sport.